How Long Will The NordicTrack Commercial 1750 Last? The actual mechanics of the Commercial 1750 are of upstanding quality and should last you many worry-free years with proper daily care. With that said, the increase in programming that accompanies the bells and whistles of compatibility software can be a cause for concern. Like always, we caution treadmill users to keep in mind that NordicTrack specializes in fitness equipment, not computer software. Still, the Commercial 1750 should hold up well with a heavy jogger or light-moderate runner. The Commercial 1750 is one of NordicTrack’s quality machines that comes with a durable build and decent amount of workout programs. While we have some reservations with the iFit membership that is now standard for Icon's (NordicTrack's parent company) higher-end products, we do still like to see a treadmill built with a balance of style and functionality. 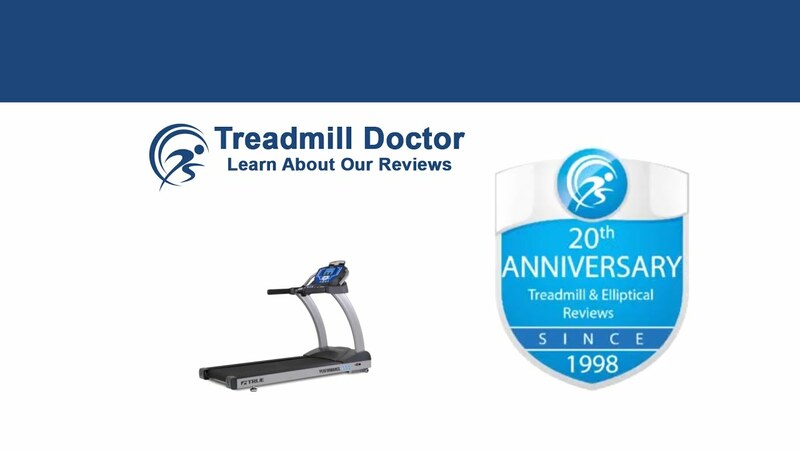 This treadmill has been built with notable quality and improved reliability, which has helped make our decision to award the Commercial 1750 with First Place in our 2019 Best Buy list among the $1,300 to $1,499 dollar treadmills. NordicTrack brought the Commercial 1750 back with an updated design and additions to the model to improve upon its reliability and performance. This machine is an exceptional option for users who are not interested in extreme programs but are simply looking to get in shape with an average day to day use. The build is one of the most durable in this price range while the warranty is there to help support such a build. A five-year parts and a two-year warranty are pretty standard for treadmills in this price range, but still, show an added amount of value. Two common problems that accompany the NordicTrack Commercial 1750 that accompany this machine, however, are the iFit component as well as the poor customer service that comes with Icon products. The iFit coach is a fitness app that is not necessarily required to be able to use this machine but is a necessity to get the most value for what you are purchasing. Without the subscription, the value is not fully optimized. Furthermore, while iFit offers more cost-efficient programs, the subscription that comes with this machine is “iFit Coach” which is $39 dollars a month. While NordicTrack offers a one-year free subscription with the purchase of the machine, the user must decide if having a mass of muscle run with him or her is worth nearly $470 dollars a year. We recommend the Commercial 1750’s alternative- the NordicTrack 5750- if the iFit coach is not a priority. It is important to keep in mind that NordicTrack finds value in the iFit subscription which raises the price. The question then arises if the machine is worth the price tag without the technology. Even so, the utility of the Commercial 1750 is still standard for this price range. While we have awarded this treadmill for its ability to add such programming and utility for this price, if you are not interested in a program heavy treadmill, your dollar may go further with a less technology-saturated machine. Secondly, NordicTrack's customer service department is quite the dreaded monster that is worse than kale smoothies and worn-out soles. While the company has certainly upped its game in quality parts, the culture of the customer service department has yet to improve. Warranty Lifetime frame and motor warranty, a 5-year parts and electronics warranty, and a 2-year labor warranty. Consistently, the Commercial 1750 has proved to be one of the best treadmills in its price point for the past seven years. Unfortunately, the Icon poor customer service has been just as consistent. Overall, this treadmill has been a good quality machine year in and year out despite the occasional run-in with a dysfunctional machine and frustrating service department.